After Oprah Winfrey’s speech at the 75th Golden Globe Awards, people called upon her to run for President of the United States in 2020. You may or may not support that idea, but you cannot oppose one thing – Oprah is an expert when it comes to communication. She made an indisputable impact on society and has transformed the age of communication, which made her a true leader in journalism and media. So, what’s her success story and what can we learn from her about communication? Oprah Winfrey’s success story begins in 1986 when she became the host of her own talk show, The Oprah Winfrey Show. She used the show as the opportunity to discuss social issues in the American society, and her topics ranged from the AIDS crisis to building healthy relationships. To increase the relevancy of her show, she interviewed various people, from actors and singers to the middle class and commoners. As her popularity grew, she sought the opportunity to become the chairwoman and CEO of Harpo Studios (currently known as Harpo Productions). Harpo Studios produced many popular shows, including Dr. Phil, Dr. Oz, and Rosie Show. Oprah continued to dominate media and communication when she gained interest in cable networks and print media. In the summer of 2000, she developed a new magazine publication, O, The Oprah Magazine, for which she got a subscription base of 2.5 million readers. Most recently, she became CEO and chairwomen of another company, Oprah Winfrey Network, that took over Discovery Health Channel in 2011. The question arises – how did Oprah gain success and popularity from only a self-named talk show to such an extensive background in media, journalism, and communications? To capture the attention of your audience, you should stimulate their imagination. Storytelling creates an emotional bond and your audience can feel what you’re feeling. Relevant and powerful stories can add great depth to what your audience is perceiving, and they can understand your message better than if you are talking about abstract concepts. 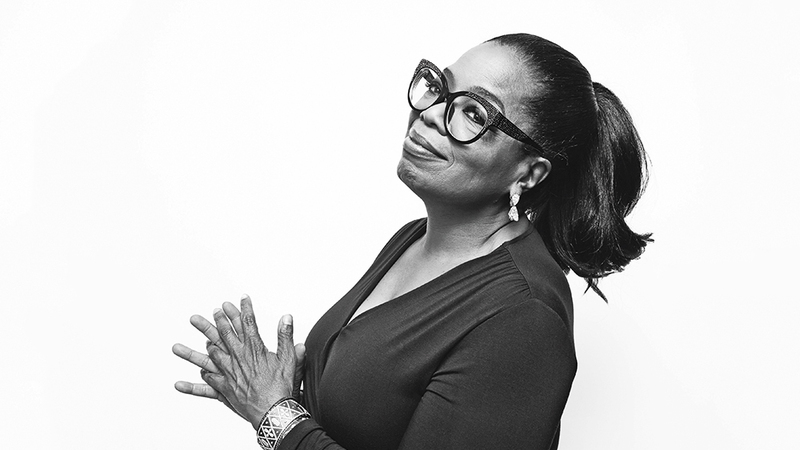 The fact that Oprah went from rags to riches illustrates the American dream – and she used her heartbreaking story many years ago to connect with people all over the country. In many occasions, she discussed her childhood which consisted of poverty, neglect, and sexual abuse. That allowed her fans to get to know her on a more deep and personal level. Oprah’s ability to speak honestly and directly is what attracts the audience to her personality. This generates what is known in communication as a personal attraction. The audience can relate to her because of her sincerity and genuine personality. Oprah opening to her audience allowed them to look at her as their friend or neighbor, which encouraged women across the United States to watch her daily. She was not afraid to show emotions to occurrences or situations. During interviews, she showed nonverbal communication with the audience, as well as with her guests. These forms of nonverbal communication included crying, laughing, gasps, and body language. Until Oprah, a talk show host showing emotional regard to a guest was unheard of. When connecting with your audience, keep things real and honest. The opening and the first impression are important, but sending a clear message throughout your presentation is vital, too. Presenting ideas is not just about showing people how much you know and how creative you are. It’s about making a difference, and the best way to achieve that is by inspiring people that listen to you. Oprah is a one of a kind in the industry of communications, mass media, and journalism. She is an entrepreneur, actress, educator, producer, philanthropist, talk show host. She is also a friend, a neighbor, and a person everyone can relate to. And that’s all thanks to her incredible communication skills!